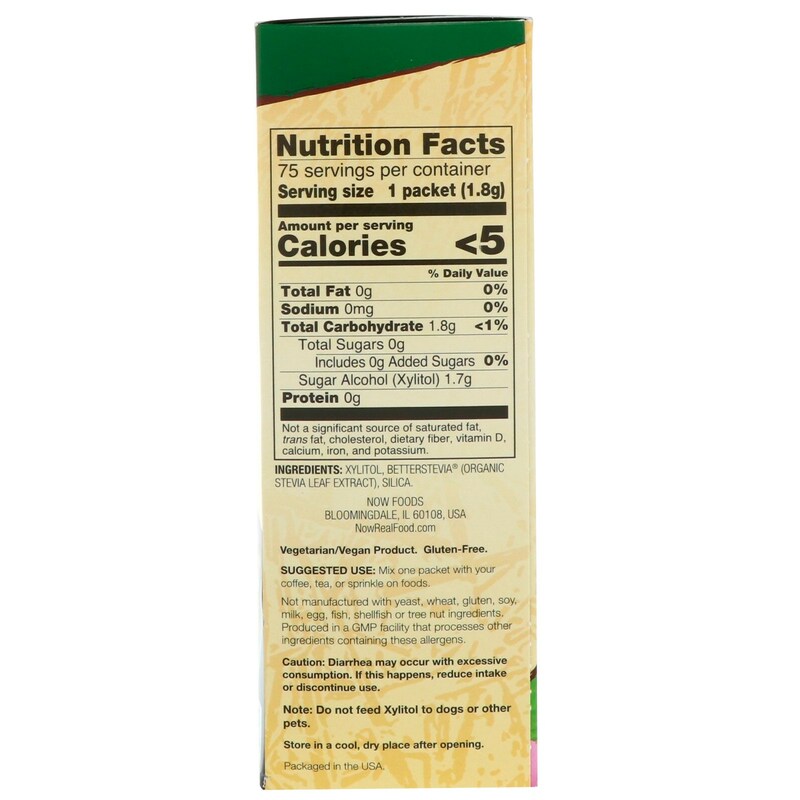 NOW Real Food Xylitol Plus combines the pleasant taste of xylitol with BetterStevia, a zero-calorie natural herbal sweetener that complements and even enhances the sweetening characteristics of xylitol. 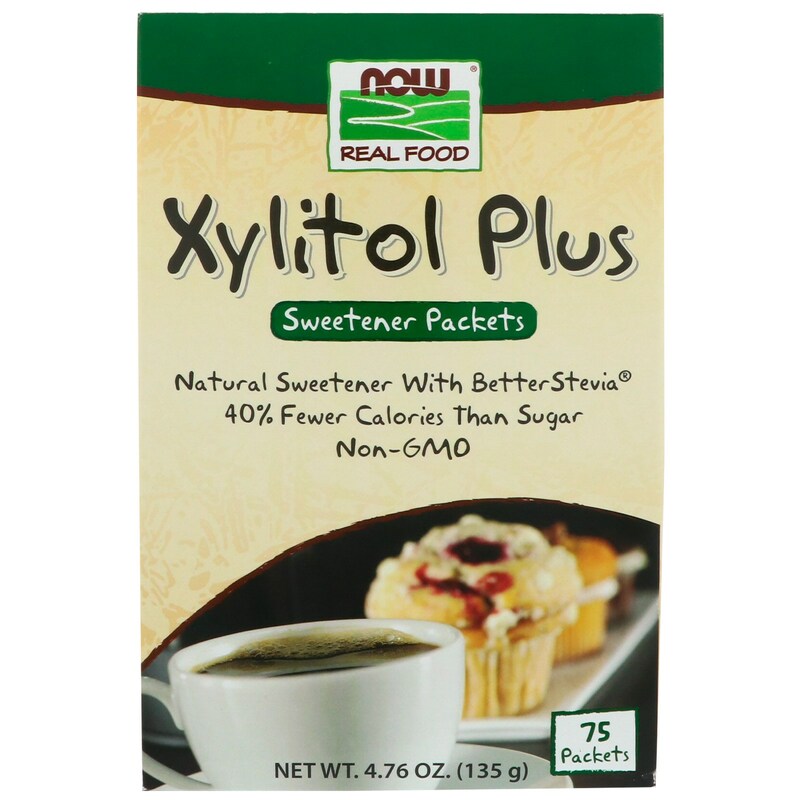 With NOW Real Food Xylitol Plus you get an excellent, healthy alternative to table sugar and artificial sweeteners that has 40% fewer calories than sugar and a delicious, clean, sweet taste. Xylitol Plus can be used to sweeten your favorite beverages and it's also great in oatmeal, cereals, and other natural foods. 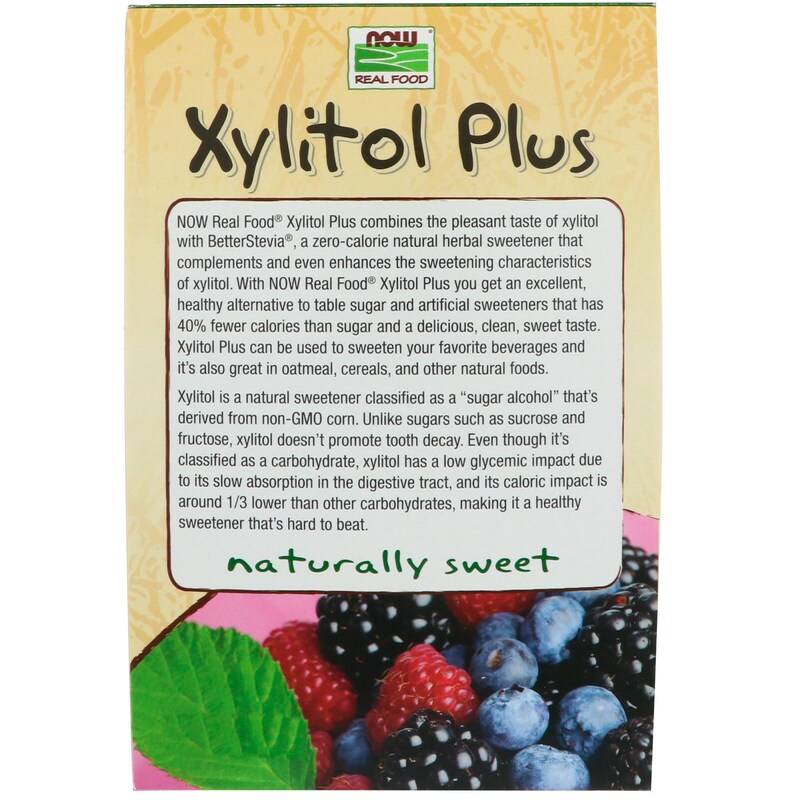 Xylitol is a natural sweetener classified as a "sugar alcohol" that's derived from non-GMO corn. Unlike sugars such as sucrose and fructose, xylitol doesn't promote tooth decay. Even though it's classified as a carbohydrate, xylitol has a low glycemic impact due to its slow absorption in the digestive tract, and its caloric impact is around 1/3 lower than other carbohydrates, making it a healthy sweetener that's hard to beat. Mix one packet with your coffee, tea, or sprinkle on foods. Xylitol, betterstevia (organic stevia leaf extract), silica. Caution: Diarrhea may occur with excessive consumption. If this happens, reduce intake or discontinue use. Note: Do not feed Xylitol to dogs or other pets. Not a significant source of saturated far, trans fat, cholesterol, dietary fiber, vitamin D, calcium, iron, and potassium.